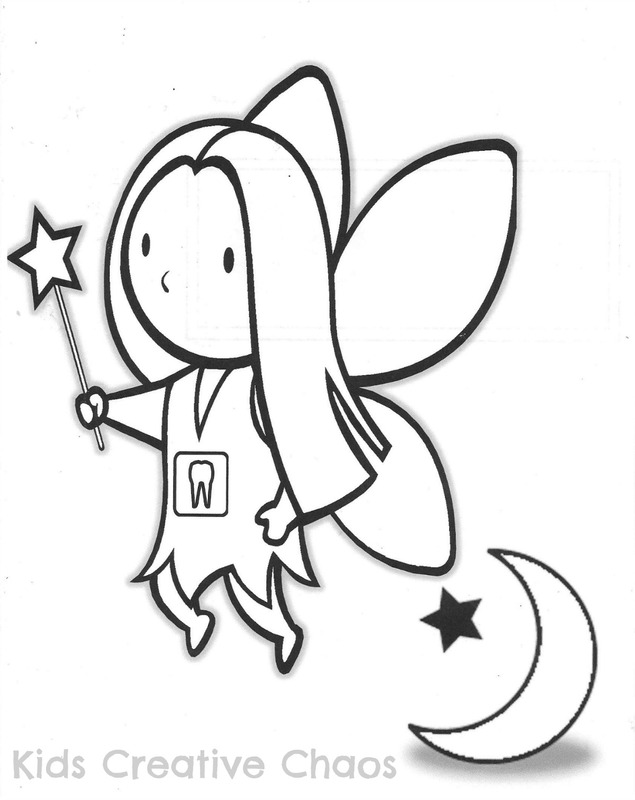 Are you looking for toothfairy clipart or coloring pages? We have teeth clipart and cute stories here just follow the links. How many teeth do little people have? I feel like we're on our one-hundredth tooth! I snuck in with a fresh, crispy dollar bill. When I pushed it under the pillow, it went CRUNCH! 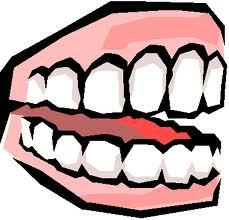 Clipart Teeth are perfect, you don't have to brush them. My son awoke, and looked at me. He lifted his pillow. I checked his temperature pretending not to notice (he's been sick). "Yep, you've still got a fever. I came in to give you your medicine." Right Click to save to computer and print or click here to get a PDF file. When I came back with the meds, he was looking under his pillow. "She didn't come, again!" "What!? Are you sure?" "Yes, here's my tooth, and there is no money!" How can this be? I just put the dollar there! "Well, maybe she got frightened by something and took off." I'm running out of excuses here, any ideas? I couldn't get the tooth out from under his pillow. "Hey look around maybe it got lost?" "No! My tooth is still here." Then... I saw the money on the floor. "Hey, look there's a dollar under your bed." "What should I do with my tooth?" "Save it for me." Wait, no, if you've been counting, we're only at tooth number seven... maybe eight. I can't count; I'm still sleepwalking. Only twenty-two more to go?? "Mom, my friend gets $5 per tooth. How come the toothfairy only gives me $1?" That's a good question- How come I only got a quarter? "Hmm," I said. "Maybe you get more for the first tooth and less and less each time?" That's better than me, I always forget, and make them try for two or three nights. By the time they get the dollar they're just happy the tooth fairy stopped by at all! Love it! I was not great about playing the tooth fairy with my daughter, unfortunately. I was always late! I think your blog is awesome!